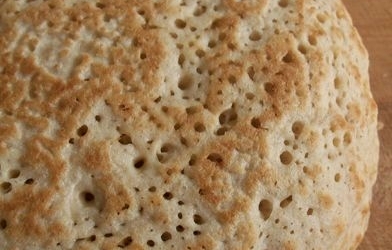 Derbyshire Oatcakes are a British food recipe similar to pancakes. Mix the oatmeal, flour, and salt with the water to form a thin batter. Add the baking powder just before cooking. Grease a large frying pan and heat on high. 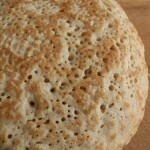 Pour cupfuls of the batter into the hot pan and cook like thick pancakes for 4 to 5 minutes on each side until golden brown.